While it's nice to see Canon take a chance with the PowerShot N's interesting camera design, the manufacturer seems to have missed the mark with this model. With its touch screen LCD, built-in Wi-Fi, and lack of control buttons, it needed a redesigned menu structure to make it a fun and efficient camera for the young photographers at which its aimed. That didn't happen. The tiny built-in flash and odd zoom ring control don't work well either. The N does have fast performance times and its image quality is good versus other point-n-shoots, but it has a much higher price tag than those models, too, which makes it tough to recommend this awkward camera. Read more in our Full Conclusion. 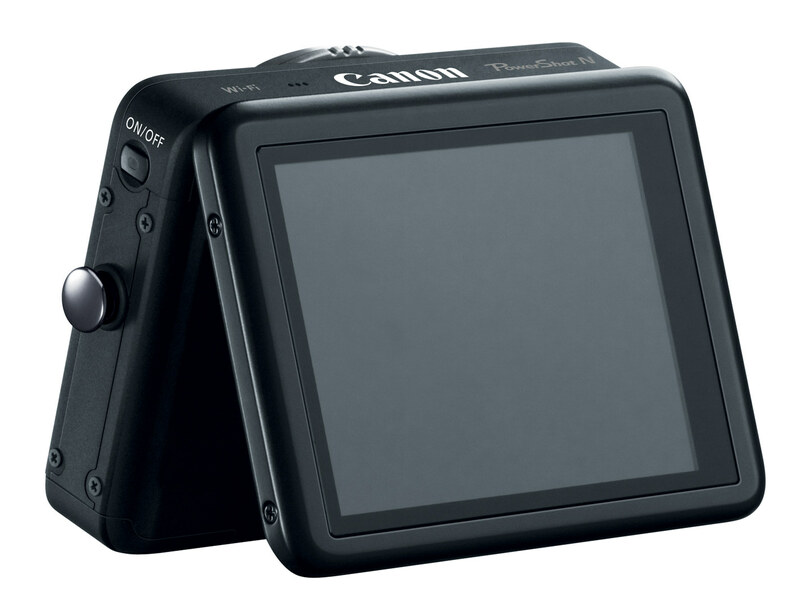 To kick off the start of CES 2013, Canon USA released one of the most unusual digicams we've ever seen. 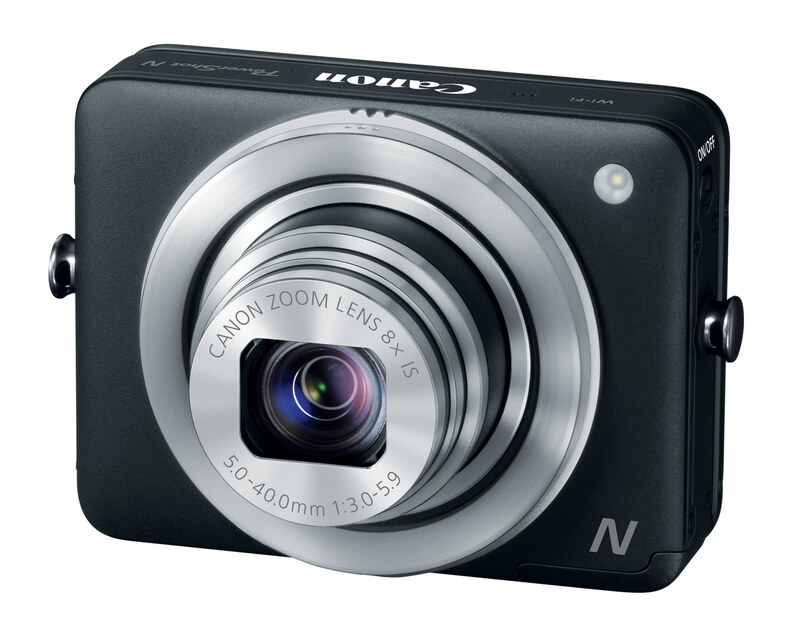 The PowerShot N is the first in a new line of simplistic cameras, and Canon explains that the N stands for "New", as in the way that you hold and shoot with this camera. They've taken some pretty common PowerShot features, mixed in some new additions, and stuffed them all into an extremely compact body that offers a minimalistic design; one that we can't help but think of the Instagram logo when we see it. The first thing you'll notice when you look at the N is that there are pretty much no buttons on the exterior. Only the power button, a mode toggle switch, and mobile device connect button remain (more on that below). 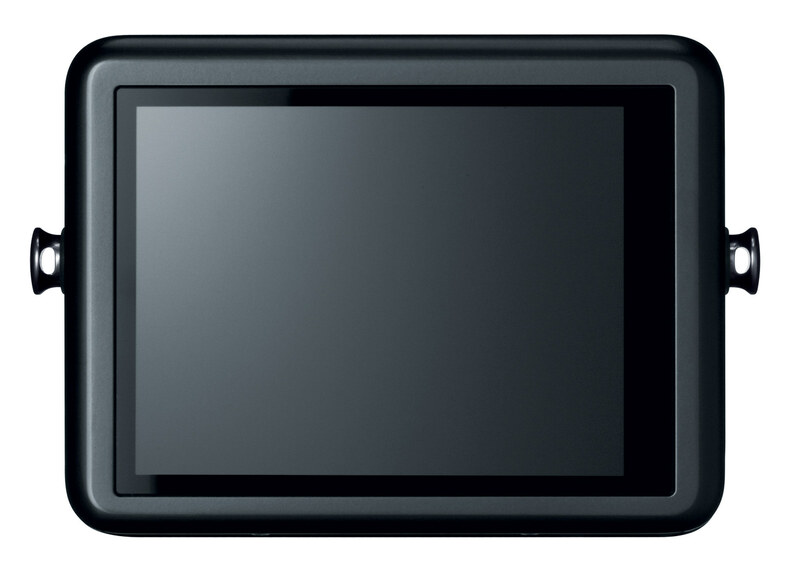 All of the other functions of the camera are controlled by the 2.8-inch tilting, touch screen LCD and unique rings mounted around the lens. These rings are used to both zoom the 8x lens, and to capture photos and video. Core features include 12-megapixels of resolution, an 8x optical zoom lens, Full 1080p HD video capture, and enhanced Wi-Fi capabilities to name a few. The Wi-Fi function is also unique on the N. Canon included a handy mobile device button, which allows you to quickly connect the camera to your iOS or Android powered device (with the free Canon Camera Window app), as well as turn the camera into a Wi-Fi access point (with SSID). On top of allowing you to upload files to your favorite social media sites like Twitter and Facebook, the N also lets you post to specific groups and add unique comments (a first for a digicam). You can even upload directly to Canon's Gateway cloud service. 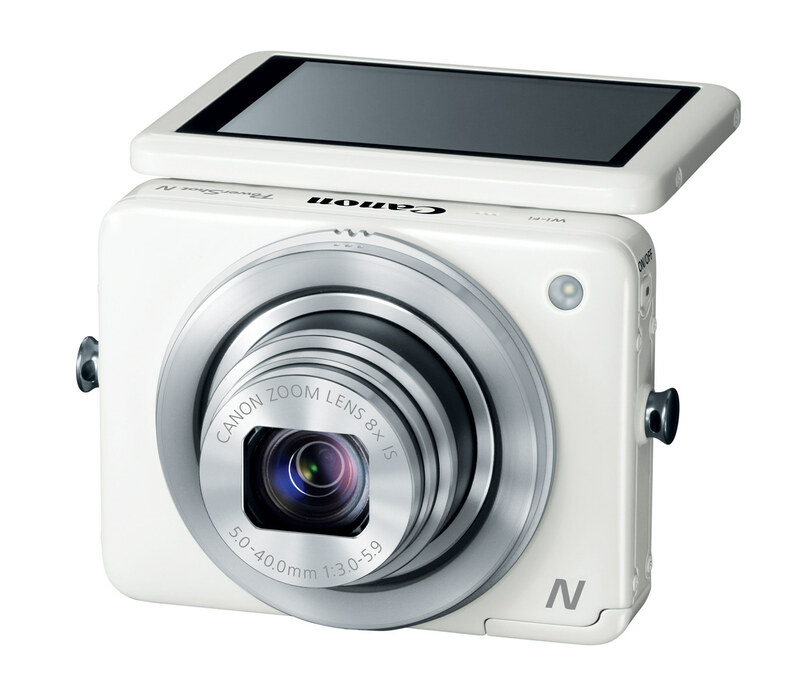 The PowerShot N has a MSRP of $299.99 USD, ans comes in Black or White. Click our Buy button at the top right of this page for the most current online pricing.